Time flies and my first triathlon was just one year ago. I still remember the butterflies in my stomach and the fear of the unknown. During this past year, I have trained regularly for the three sports. 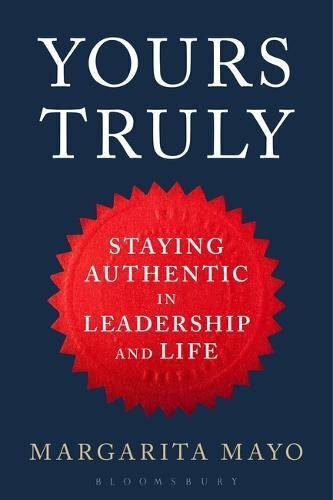 Although, I must admit that I have not trained with high intensity because my heart and soul is on the book I am writing on authentic leadership. However, given the time and energy limitations, I have managed to swim twice during the week; ride my bike on Sunday morning in the Casa de Campo and run once a week around my neighbourhood. All in all, I really enjoy the routine training. For me, the first triathlon of this season was in Valencia during the past long-weekend of May 14. The weather is usually fantastic in Spain’s Levant, but the night before it felt as windy as Chicago. I was convinced that I would not compete the next morning due to the cold weather. Nonetheless, the locals promised a beautiful next day. I had to get the dorsal at 6:30 a.m., so the alarm clock rang at 5:30 – crazy time to start the weekend. But as predicted, at 5:30 a.m. I could see that the sea was calm and could feel that the temperature was warm. I had no excuse not to compete now. From that time on, everything seemed to fall into place. I was still intimated by the professional-looking triathletes at the beginning of the competition, but soon, I gained confidence and prepared for a fun race. I made friends with a lady competing with me in the same women triathlon race. Together, we warmed up in the sea and started the swimming. The water was pleasant and I came out much fresher than last year. When I picked up my bike, I had 10 Km of easy riding in front of me, contrasting the high hills of my steady Sunday training, which I did at an average speed of 24 Km per hour. The final trek was running 3 Km along the coast with a lovely view to the sea, which I ended up with a sprint to enter the finish line. I could not wait for the final treat: the bottle of water and the piece of refreshing watermelon. 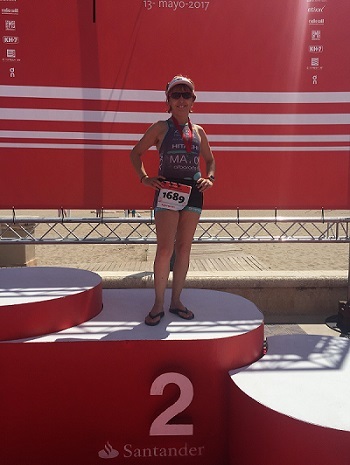 I ended up with a good feeling that materialized with a second position in my age group –which I keep secret, and the 25th out of the 50 female triathletes of all ages. I had my first podium one year after my first triathlon. Cultivate your passion step-by-step: Manage your expectations. It is hard to love a new sport right the way. It takes time to develop a passion for it. I find that the hardest moments are at the beginning of each training, after a day of work. Once I am on the move, it is easier to keep going. Make learning a habit: Learning a new sport requires practise in a systematic way. Make it a habit rather than a sporadic event. Erratic and patchy training will not take you very far. It is preferable to practice three times a week for a long period of time than going every day for a week but doing nothing the next two weeks. Use yourself as a benchmark: Appreciate your positive evolution and avoid comparing yourself to others. Do not be hard on yourself thinking on how much you still need to improve, but value how much you have learned so far. Make it easy for yourself: Do not hesitate to seek help and remember that some overtraining can help raise your confidence. For example, during swimming practices, we swim about 2000 m, but in the super-sprint distance I just had to swim 350 m. In the end, all three legs seemed easy compared with the training. Altogether, I have learned that the best way to keep moving and improving is a combination of passion and perseverance. Finishing each training with a positive feeling so that you want to do it the next time.